Welcome to the Express Soccer Player Showcase, where you'll find athletes from now and then who are making news. We are honored to have been a part of their development. Express Soccer is proud to announce that the following Dynamo players were recognized as ALL STX players for their contributions to their high school teams in 2018. Congratulations to all! Noah played for Veterans Memorial High School. 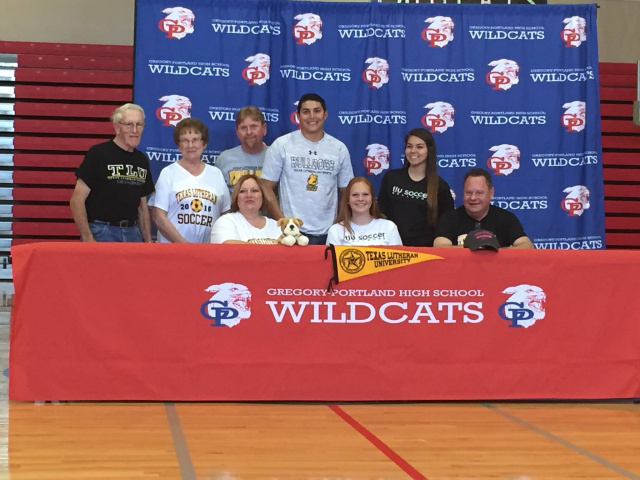 Maddie played for Gregory Portland High School. Tito played for Veterans Memorial High School. Dynamo player Noah Wagner has signed to play with UT Rio Grande Valley. Noah most recently played with Express Dynamo B99 and is a graduate of Veterans Memorial High School. 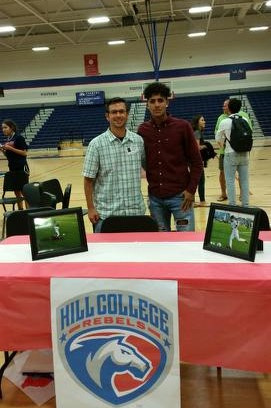 Dynamo's own Humberto "Tito" Delgado signed to play for the Hill College Rebels while he attends college there. Hill College is in Cleburne, Texas. Tito is a graduate of Veterans Memorial HS and played for Express Dynamo B99. Two of our own Dynamo players, Maddie Good and Rachell Aranda were recipients of the 2018 Coastal Bend Youth Soccer scholarship. 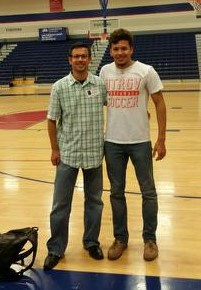 Both players were teammates on Express Dynamo G99 and are graduates of Gregory Portland High School. Congratulations ladies! 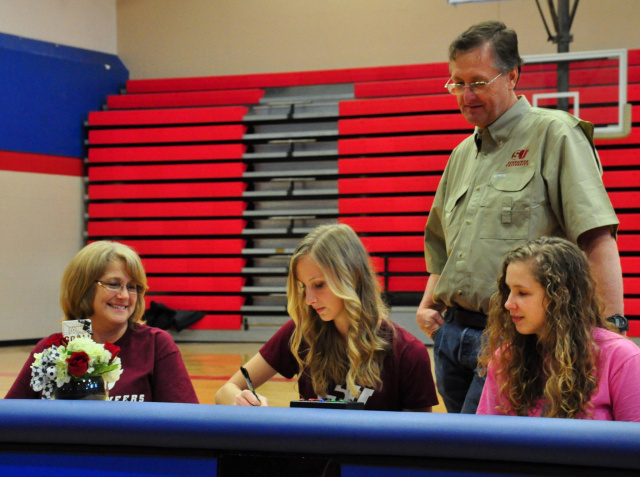 Congratulations to Dynamo's own Maddy Good who signed a Letter of Intent to play with Schreiner University! Click photo to read the Caller Times Hometown Heroes profile on former Dynamo G97 player Katie Morton. 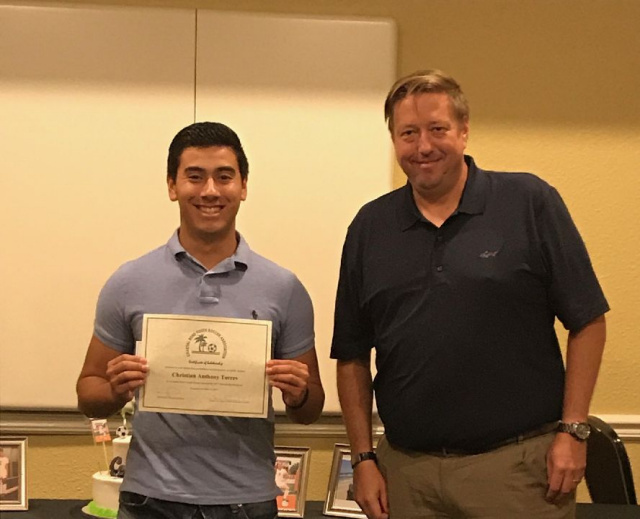 Congratulations to Express Dynamo's own Christian Torres who was one of four Coastal Bend students awarded the CBYSA Scholarship of Excellence. Christian is a player for Dynamo B99 and will be attending and playing for Southwestern University in the Fall. Express and Dynamo CB are proud of you Christian. Thank you for representing your club well! 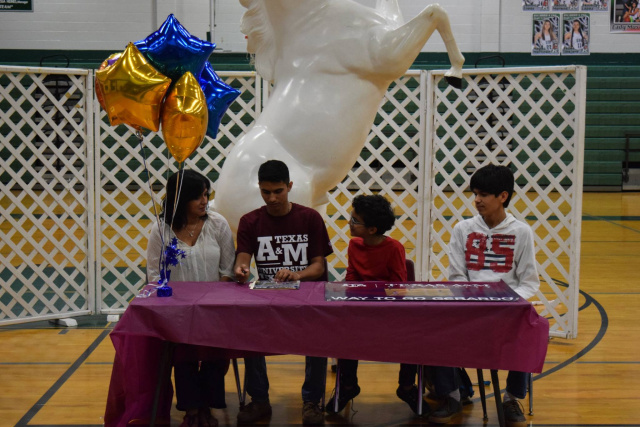 Congratulations to King HS students Allan Rayo and Rodrigo Navarrete who both signed last Thursday to play with Schreiner University. Both young men are players for Express Dynamo B98/99. Good luck to both players as they pursue their educations and continue their soccer careers! Dynamo alumni Yvette Franco was named Soccer MVP at the 14th Annual Islanders Student-Athlete Banquet. 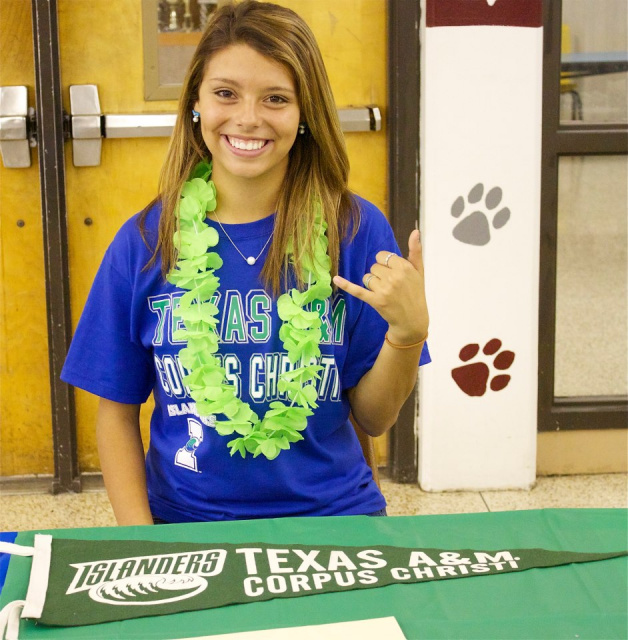 Franco is a senior at Texas A&M Corpus Christi (TAMUCC) where she has been playing for the last four years. She was also recently named 2nd team All-Southland Conference. According to the Southland Release, "Arguably the most impactful performer in Islanders history, Franco netted four goals with three assists during the 2016 campaign to finish with 11 points, her second-best year on the Island. Hindered by an injury at the start of the year, the Corpus Christi native was held scoreless through the first 13 games of the season. Starting with an overtime winner against Incarnate Word on Oct. 7, Franco went on to record a goal or assist in five of the final six games, including a game-winner against Northwestern State on Oct. 14. "I'm very happy for Yvette in her senior year to break out at the end of the season and be rewarded for that extra push," Caldwell said. "It's a nice way to end a fantastic career." 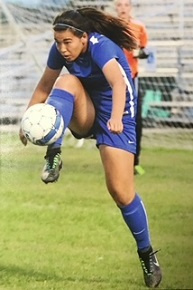 The forward etched her name in the single-season record books for her performance during her senior year, taking over the top spot in shots, shots on goal and assists. Her four goals were the most scored by a senior in program history, joined by Erdmann. 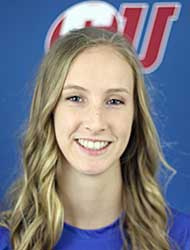 Franco's career came to a close last Friday, leaving her at the top of six offensive career categories – goals, assists, points, shots, multi-goal games and game-winning goals. She was named All-Southland Honorable Mention after her sophomore season in 2014." 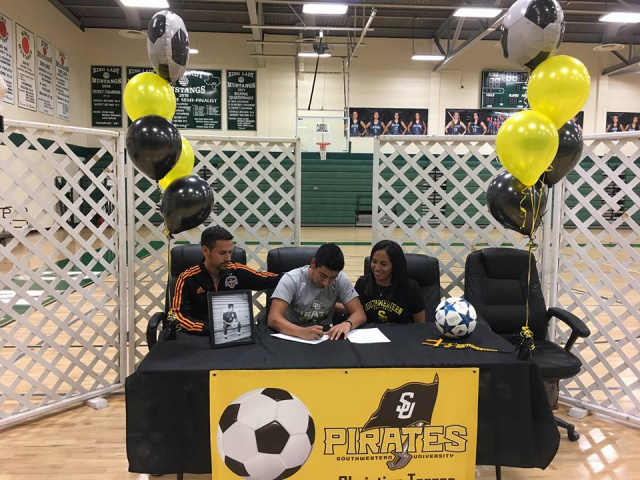 Congratulations to Dynamo's own Christian Torres who signed to play soccer for Southwestern University where he will pursue his college degree. Way to go Christian! 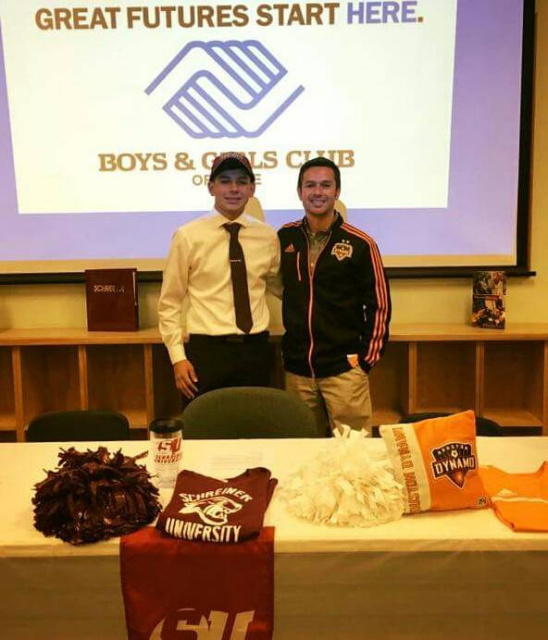 Congratulations to Dynamo's own Justin Rodriguez who has committed to Schreiner University's men's soccer team! Justin was awarded the Top Scholar Trustee scholarship. He is on Dynamo's U18/19 Division I team coached by Coach Santos Torres. 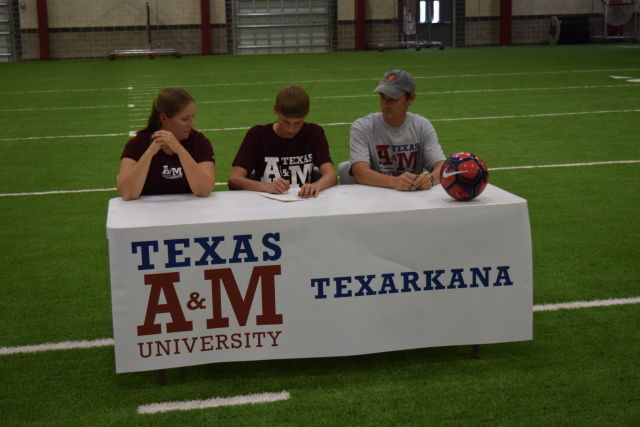 Justin Bowdry and Jerry Rodriguez both committed to play soccer with Texas A&M University - Texarkana this Fall. Justin most recently played with B98 and Jerry played with B99. WTG Guys! 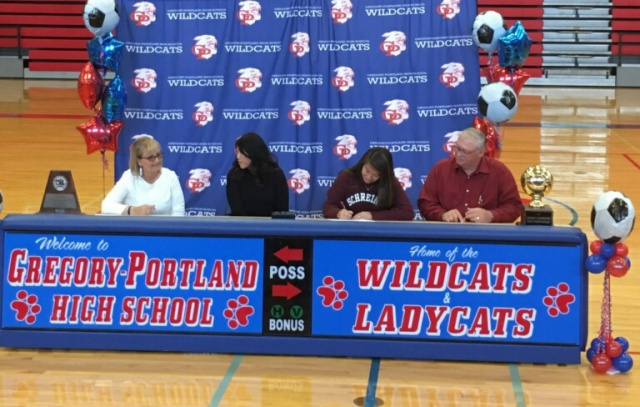 Another big Dynamo congratulations goes out to Katie Morton and Tierra Wirick, both former Dynamo-CB G97 players who have signed to play college soccer. Both girls are Gregory-Portland graduates. Katie will be playing with the Texas Lutheran Bulldogs and Tierra will be playing with the Schreiner Mountaineers. Schreiner University freshman goalkeeper and Former Dynamo G97 player Taylor Roberson is setting records at Schreiner this year! 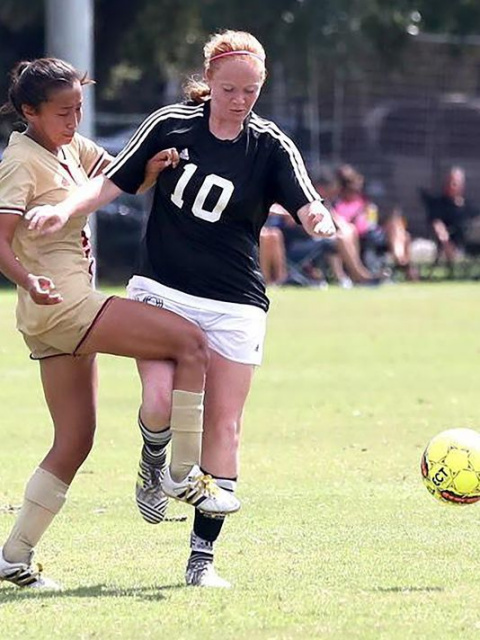 Read what the Caller Times had to say here or check out the records page for Schreiner University Women's Soccer. 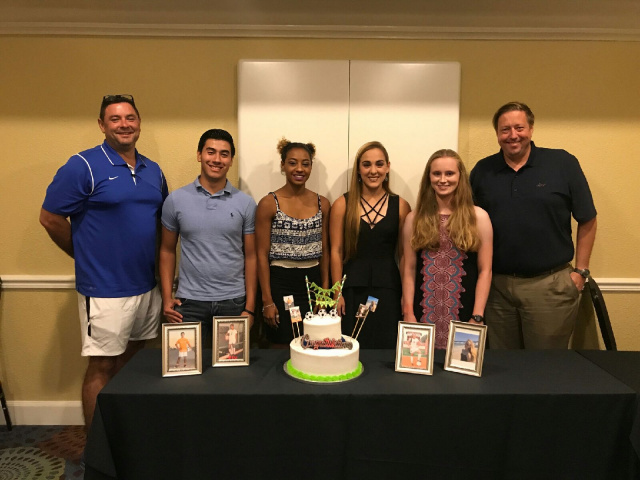 Two of our Express Dynamo G97 seniors recently signed letters of commitment to play college soccer. 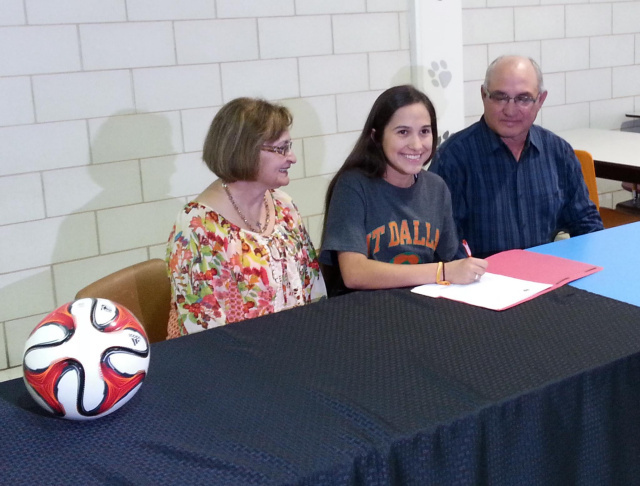 Justine Marie Borchard signed to play with UT Dallas while she pursues a degree in biomedical engineering. 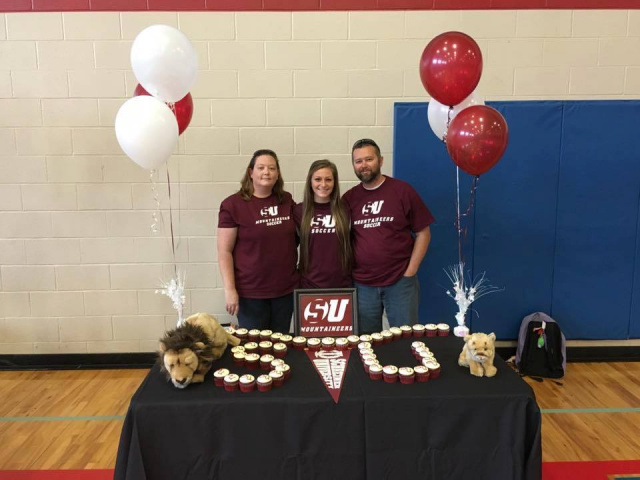 Taylor Roberson signed to play with Schreiner University while she pursues her nursing degree. 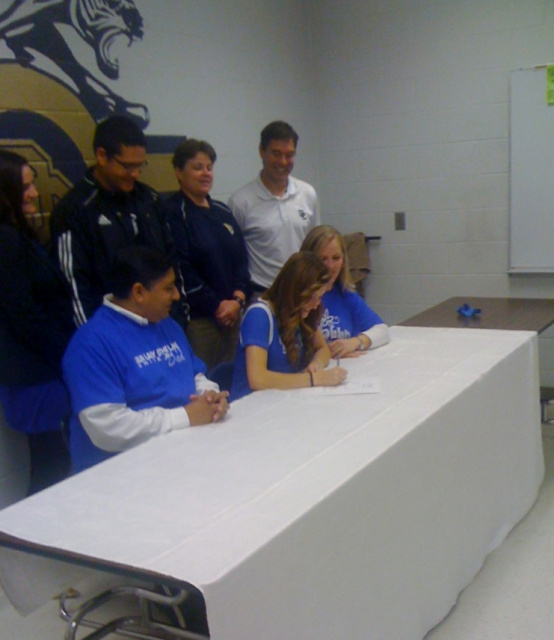 Dynamo CB player Katie Huerta signed a letter of intent to play with Our Lady of the Lakes University. 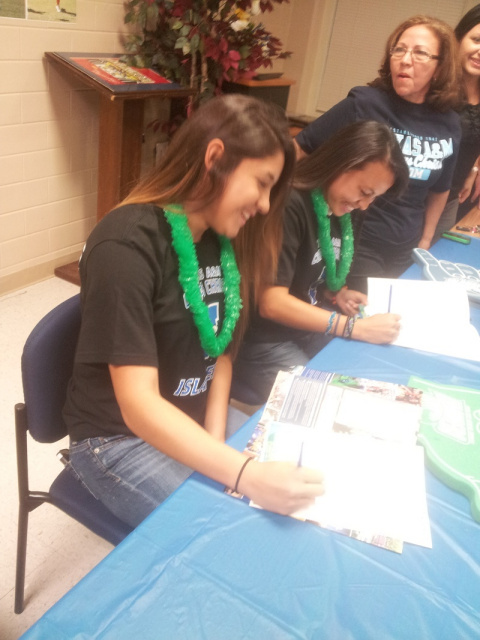 Four Dynamo G95 players are signing to play with Texas A&M University Corpus Christi (TAMUCC). Naomi Morales is scheduled to sign Wednesday Feb 6th at Calallen HS. 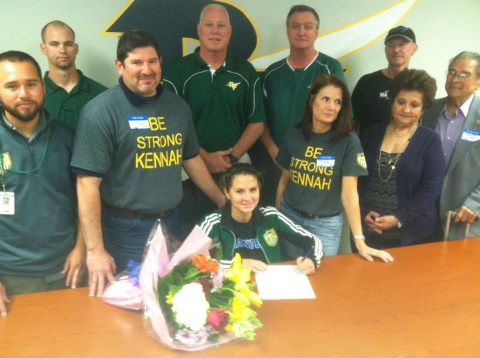 Kennah Leal is scheduled to sign Wednesday Feb 6th at Rockport Fulton HS. Yvette Franco & Daniela Gonzalez are scheduled to sign on Thursday Feb 7th at Carroll HS. "Dynamo Coastal Bend Academy has and will continue to get players to a level of Division I College Competition. The academy is extremely proud of these 4 young ladies.